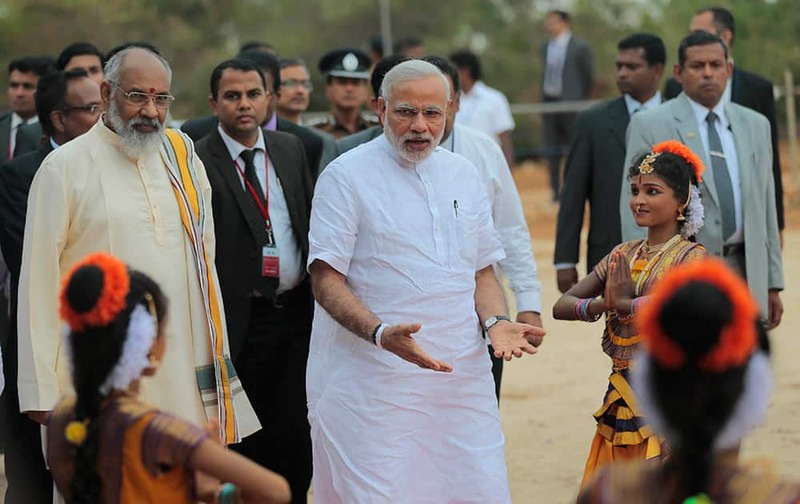 Prime Minister Narendra Modi arrives for the handing over of homes under a housing scheme funded by the Indian government for war victims in Llavalai, northwest of Jaffna, Sri Lanka. 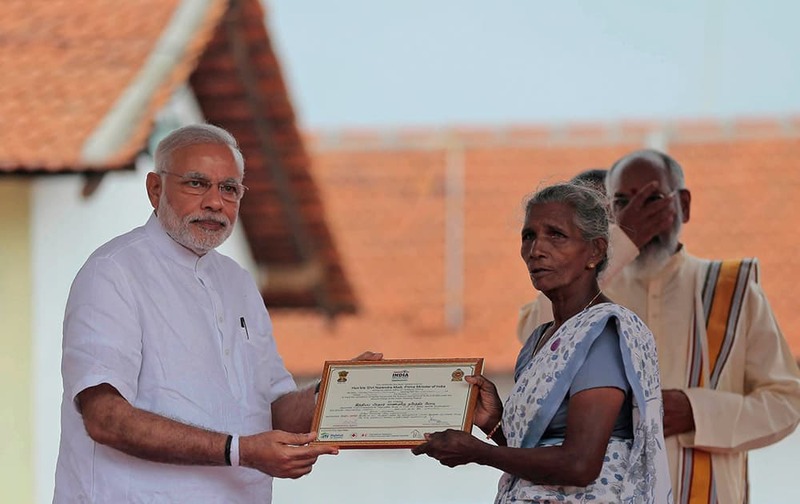 Prime Minister Narendra Modi hands over a certificate to a Sri Lankan woman, marking the completion of her home under a housing scheme funded by the Indian government for war victims in Llavalai, northwest of Jaffna, Sri Lanka. 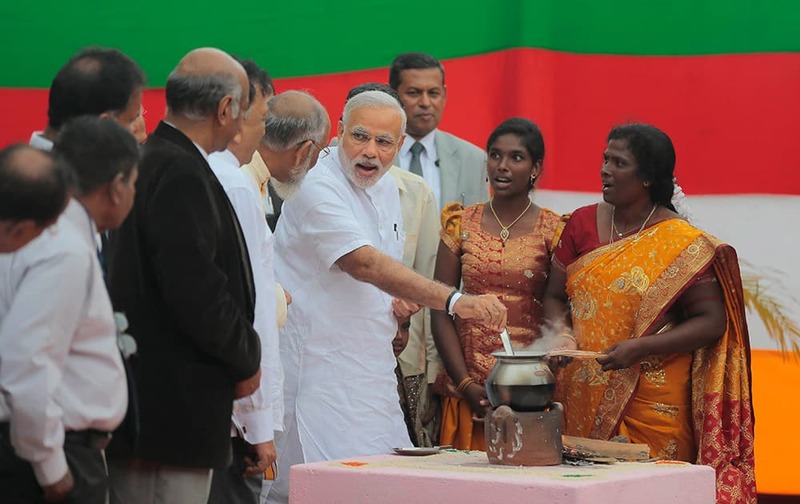 Prime Minister Narendra Modi stirs a pot of milk, a customary ritual that marks an opening, during the handing over of homes under a housing scheme funded by the Indian government for war victims in Llavalai, northwest of Jaffna, Sri Lanka. 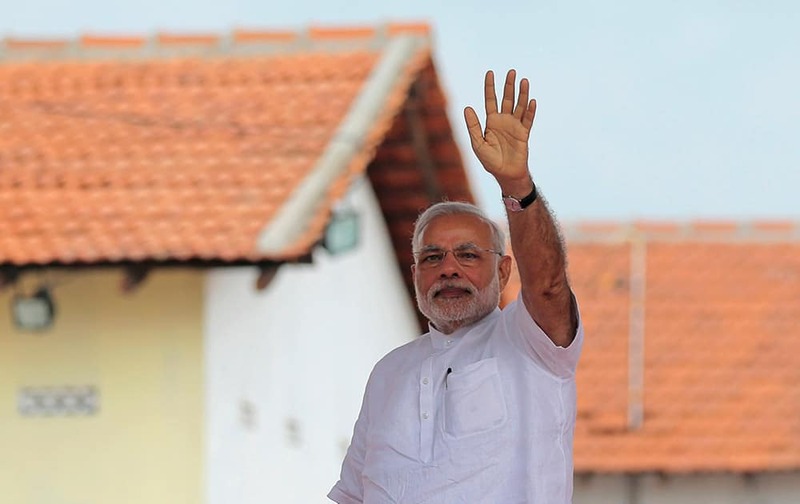 Prime Minister Narendra Modi waves to the gathering during the handing over of homes under a housing scheme funded by the Indian government for war victims in Llavalai, northwest of Jaffna, Sri Lanka. 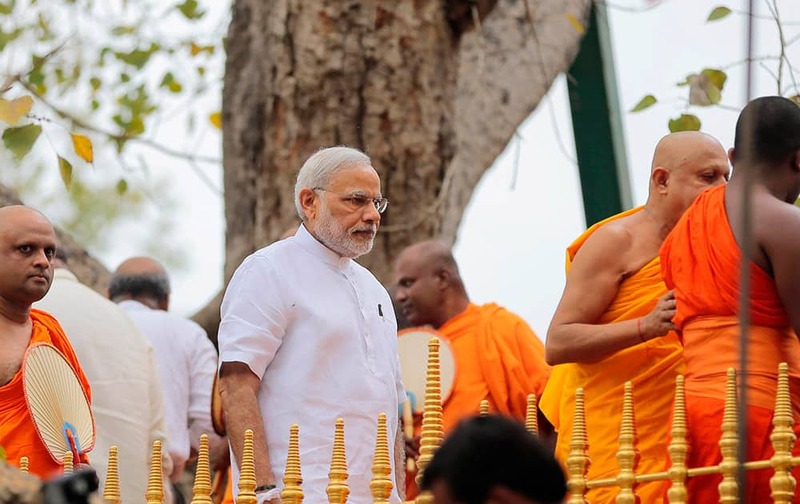 Prime Minister Narendra Modi walks after paying homage to Sri Maha Bodhi, the sacred Bo tree said to have been propagated from the tree under which Buddha is believed to have achieved enlightenment, in Anuradhapura about 230 kilometers north east of Colombo, Sri Lanka. 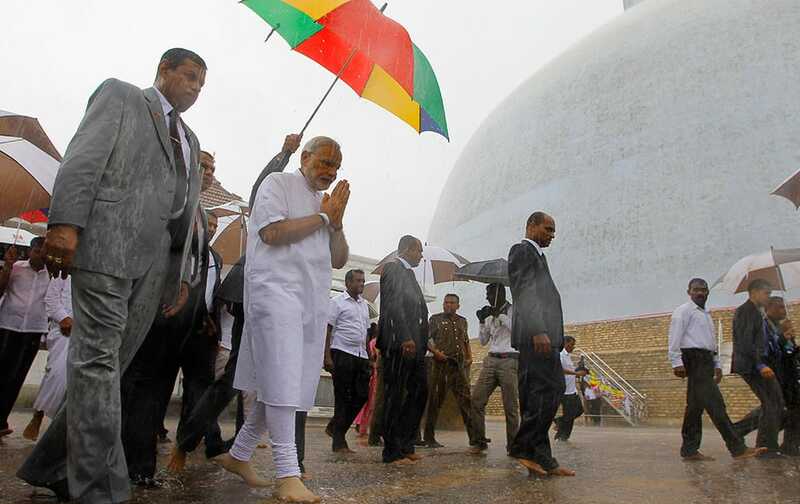 Prime Minister Narendra Modi folds his hands in a sign of respect during his visit to Ruwanwelisaya, a sacred stupa in Anuradhapura, about 230 kilometers northeast of Colombo, Sri Lanka. 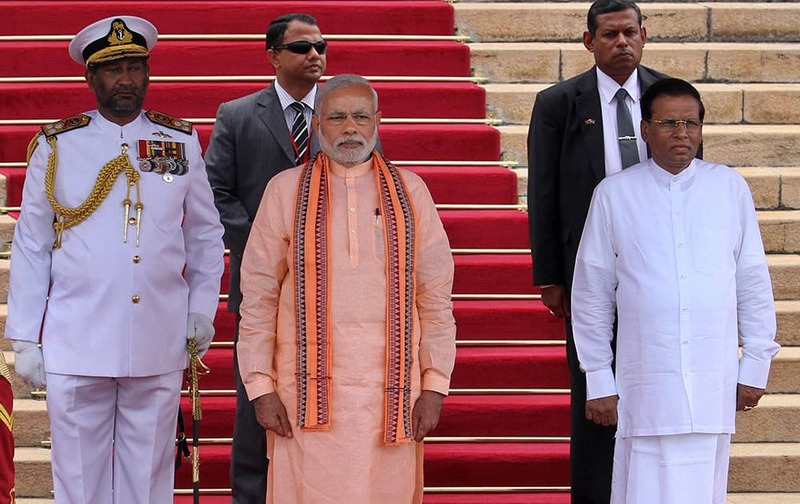 Prime Minister Narendra Modi stands with Sri Lanka’s President Maithripala Sirisena as he attends his ceremonial reception in Colombo, Sri Lanka. 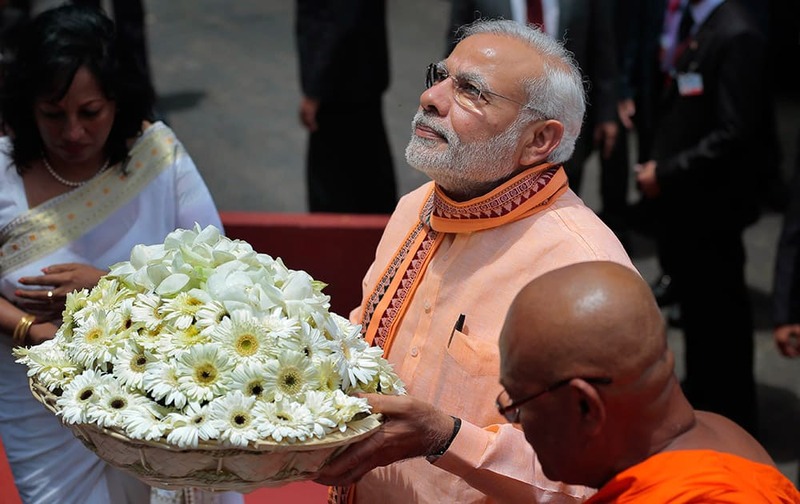 Prime Minister Narendra Modi walks with a tray of flowers to offer at Maha Bodhi Buddhist temple during his visit to Colombo, Sri Lanka. 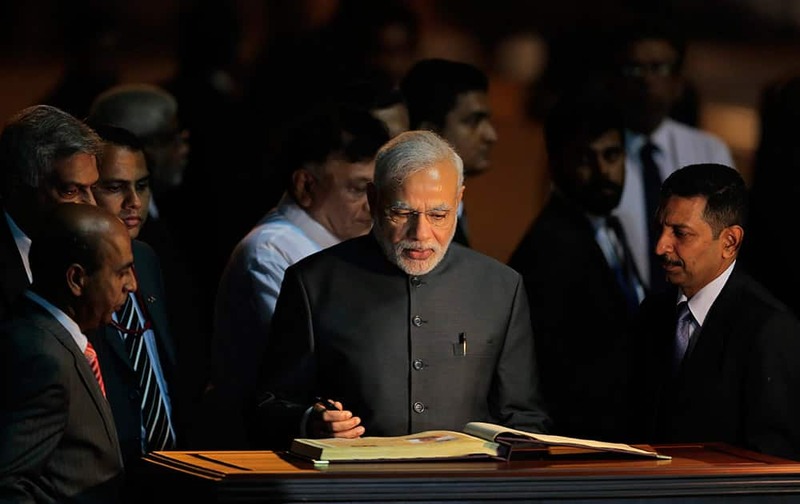 Prime Minister Narendra Modi signs the visitor's book upon his arrival in Colombo, Sri Lanka.